Year books are a wonderful reminder of the past year at school and contain precious memories and images. Often year books are handed down to the next generation, who marvel at what life was like 'back then'. 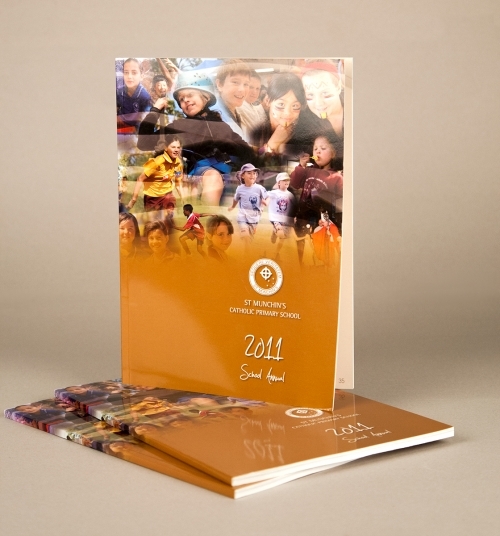 Our Worldwide team is experienced in the creation and printing of year books. 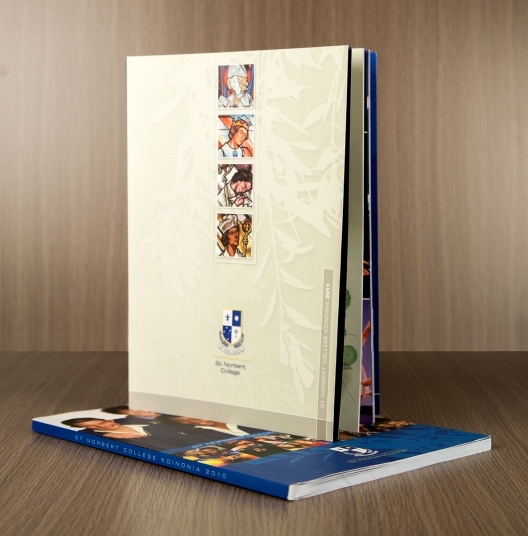 Let us assist your school produce a beautiful and memorable year book at an affordable price. Year book production can be a daunting task, but a few simple steps will help you plan and achieve a final book that you can be proud of. If your budget allows, consider including a school DVD of important days, sporting awards, school songs, achievement awards or simple and fun student messages and images. The DVD can be inserted into a plastic sleeve and attached to the cover. It's important to consider timing when planning the successful launch of your year book. Identify the date the year books are to be handed out and work backwards. It's better to have some time up your sleeve and have the books arrive early than having to mail them or hand deliver them out at the end of the year. 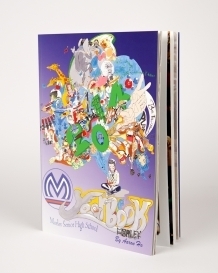 Consider themes - do you want a traditional 'school' design for your year book or do you want something different? Our graphic design team can assist you with your layout and will advise the best format to supply your artwork in. Another important consideration is the final cost of printing the year book, determine your budget at the beginning of the project. Our design and print team can assist you with pricing for different options. Planning the layout of the year book is essential. Pages can always be added or deleted at the end and if there are blank pages, consider a section for autographs and comments from students and teachers as well as words to the school song. Most year books are saddle stitched (2 staples on the spine) because it is the most cost effective option. 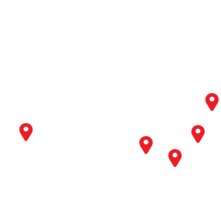 The number of text pages should be divisible by 4, e.g. 24, 28, 32, 36 etc. Cover - front and back (also consider if you want printing on the inside front and back cover). Title Page, Teachers and Staff Photos, Class and Student Photos, School Group Excursion photos School photos - candid photos of students in day to day activities, autographs or comments. Your school photographer may supply class photos and images of individual students - make sure everyone is included as some students may have been away on the day school photographs were taken. Portrait photos taken against a plain background with a good camera are best. Our Worldwide team will advise if any of your images are not suitable for print. 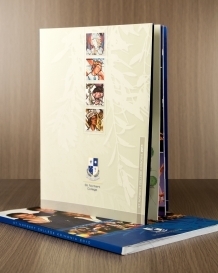 Our Worldwide Team can guide you through the production and printing of your year book - ensuring a beautiful and memorable reminder of the year at school. 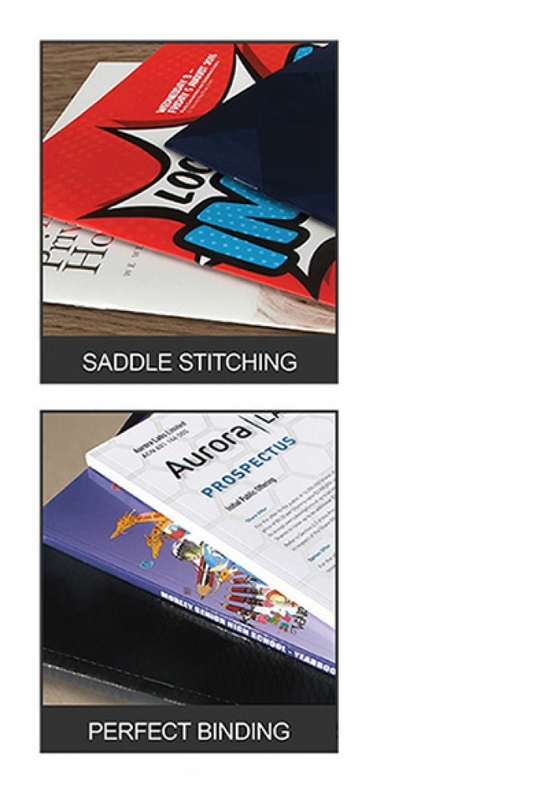 As the names suggests this binding technique will make sure your printed product looks picture perfect. We use a flexible and robust thermal glue on the spine to marry the cover and pages together, before trimming all the edges of the book. 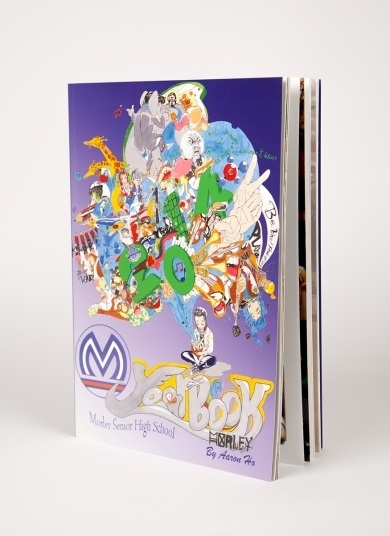 There are a number of finishing options you can use to make your year book stand out. Why not give it that extra special look and feel with the following popular options.